Original planting – Nov 1996; seeding via a fertilizer spreader. 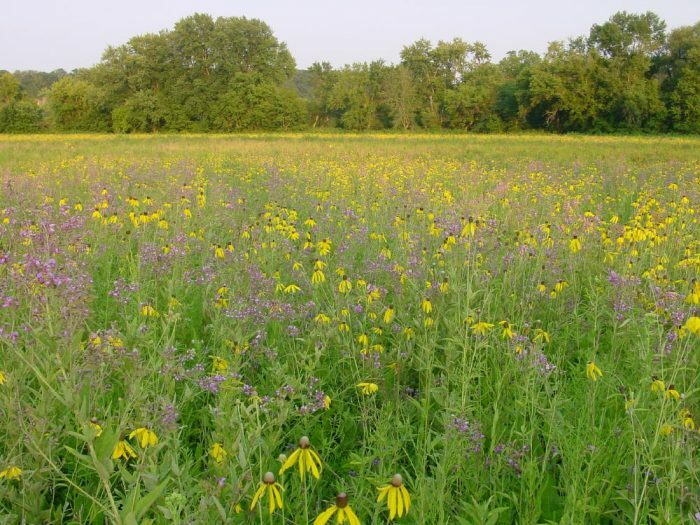 Carl Kurtz combined prairie seed & chaff and hand collected seed – 25 acres. Also casual seeding of a 2 acre old hay, mostly brome, field. This is the original planting; planted 1996; photo from August 4, 2000 – it’s 4th year. Original planting – along the farm lane. Photo from August 6, 2015 – its 19th year. 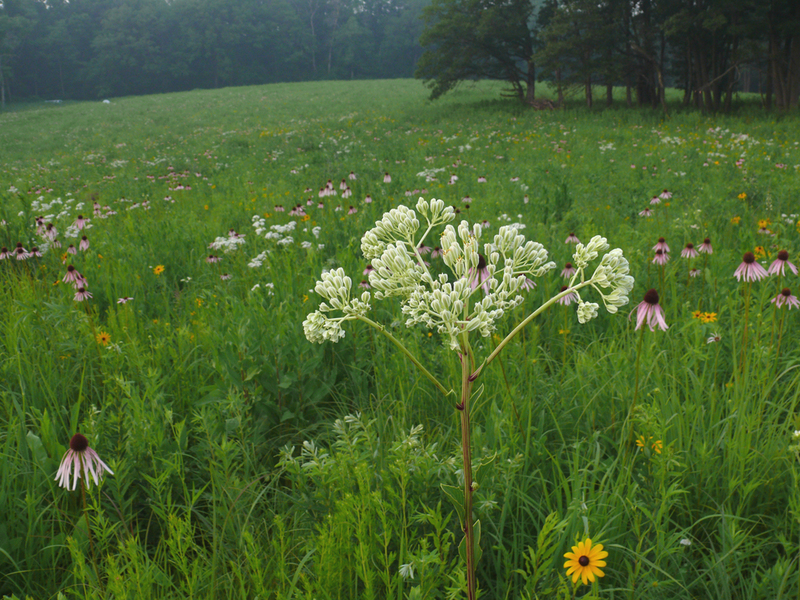 Hidden Prairie was planted in June 2006 with a prairie seed drill. Carl Kurtz combined prairie seed & chaff, Iowa DNR prairie seed cleanings chaff, Andy Swanson & Ion Exchange seed, plus hand collected seeds. Craggy Rocks was planted in June 2016 using a prairie seed drill, with Prairie Moon Nursery seed and hand collected seed – 13 acres. Plantings have been augmented with hand collected seed nearly every year and purchased seed periodically. 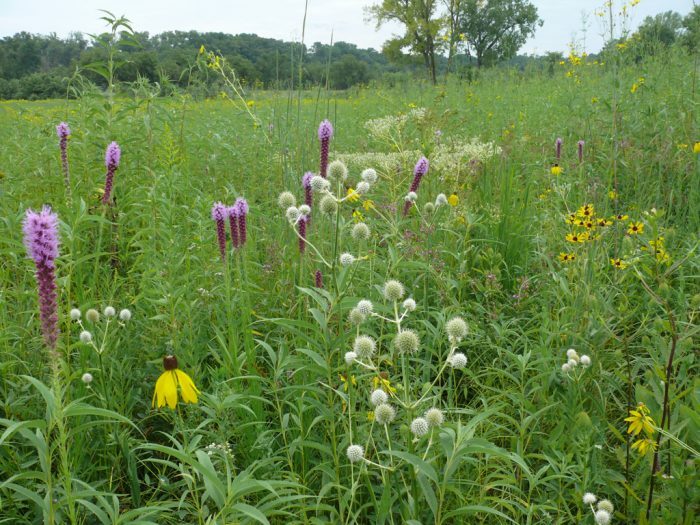 Perhaps as a result of a dear botanist friend referring to the original planting as fake, I wondered if life knew the prairie was fake. The areas are not large enough for grassland birds (besides, they do not require prairie) but what about insects? So in 2001, tentatively, slowly, I began to look closer at insects (about which I knew nothing) in the planted prairies. 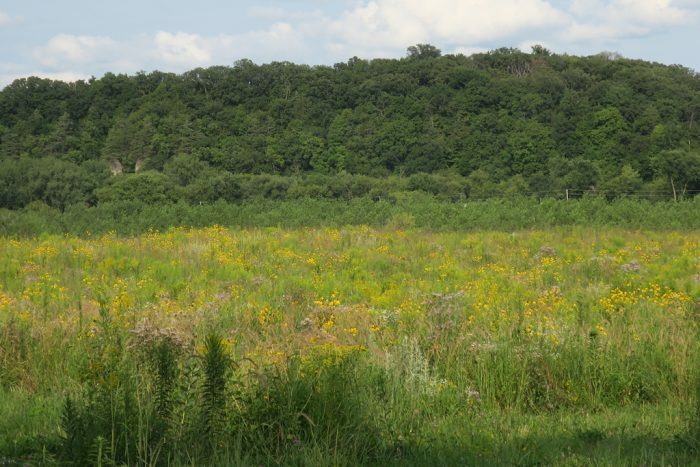 The Prairie Invertebrate Conference was held at Luther College, Decorah, Iowa in the fall of 2001. How exciting, a chance to learn about insects in the prairies! However I noticed 2 things: where were all the prairie folk? And without common names and photos, I wasn’t able to follow much of the content of the presentations. But I did learn that insects are fascinating and much remains to be discovered about them. In 2008 I finally took the leap (as it turned out, it was an easy leap) and signed onto BugGuide. MJ’s BG postings.